A distributed denial of service (DDoS) attack carried out by Chinese hackers took down Change.org’s petition to free Ai Weiwei yesterday. 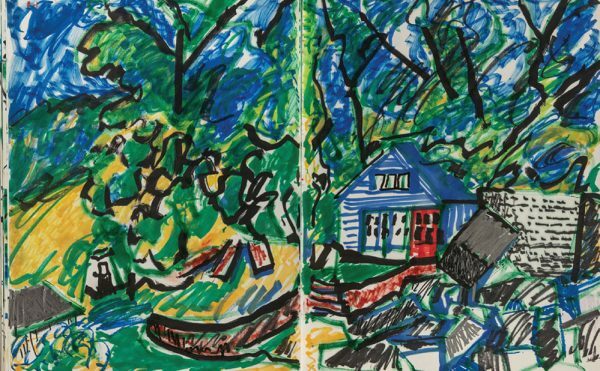 Led by the Guggenheim museum and support by major international art figures, the petition has been gaining steam with over 90,000 signatures. The site is now back online. Though the attacks came from within China, it’s impossible to tell if the attack was orchestrated by the government or was simply the reaction of angry Chinese nationalist netizens. It’s a largely accepted rumor that the Chinese government has developed teams of hackers to carry out forceful diplomacy online, yet it’s important to remember that we can’t pin these attacks on anyone in particular, much less the government. All we can do is defend websites as best we can, particularly visible and significant ones like Change.org. 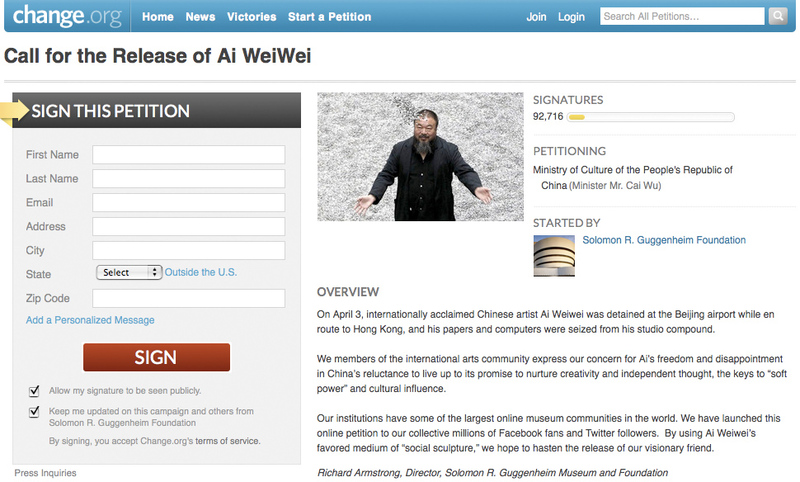 The targeting of the Ai Weiwei petition is a clear sign that controversy hasn’t cooled off over the artist’s arrest. The story continues to develop. Ai’s lawyer Liu Xiaoyuan has returned safe after disappearing for a period of days, though Liu won’t say where he has been. Ai Weiwei’s sister Gao Ge has released a letter written in 1978 from Ai in which the artist describes his family’s difficult situation as his father Ai Qing fell out of favor with the Chinese Communist government and was exiled to Western China. Sit-in protests staged this past Sunday at Chinese embassies worldwide demonstrated widespread support for Ai’s case. Organizations continue to release statements and speak out for the artist’s release, though the UNremains silent. Katja Wehling sends us this documentary of Ai Weiwei’s “Fairytale,” seen through the eyes of Belgian artist Wim Delvoye. The two artists chat extensively and tour the dormitories of Ai Weiwei’s piece, walking around town.